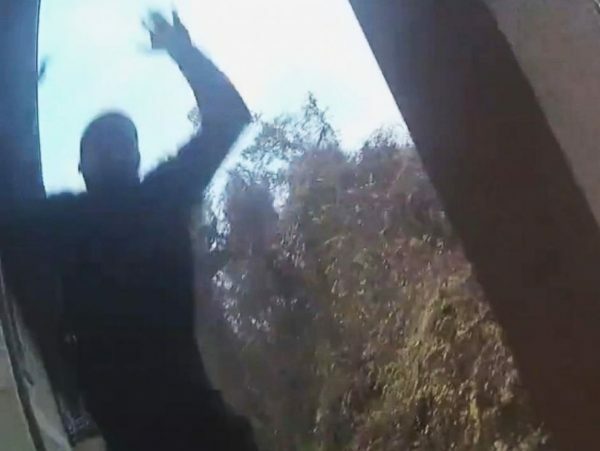 A fugitive who tried to escape arrest by jumping from a second-floor balcony survived unharmed—only to land in the lap of some waiting policemen. The incident was caught on a bodycam of the Pasco County Sheriff Police, in Florida who released the footage on Tuesday, Jan. 15. 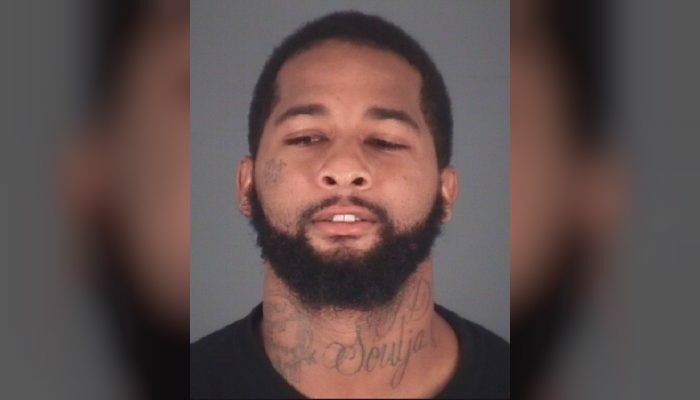 Police had received a tip-off that Rashad Walker, 29, who had an arrest warrant out against him for 2nd degree attempted murder, was in an apartment in New Port Richey. 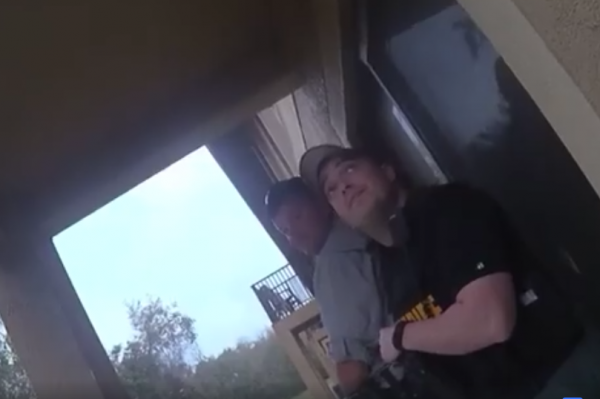 The footage, which comes with a language warning, shows three officers positioning themselves outside as multiple units tighten the net around the Ashton Oaks apartments on Jan. 12. Three officers from the Warrants unit, District 1 STAR, whisper to each other as someone knocks on the door of Walker’s apartment above. Then, about 30 seconds into the clip, the figure of a man suddenly drops down from the balcony the officers are hiding under. The unnamed police officer with the bodycam immediately tells the suspect to get down, and before he has recovered from the drop, is apprehended. The Pasco Sheriff’s Office describes what happened on a statement posted to on facebook. Because of the severity of the crimes in Walker’s arrest warrant, multiple units were dispatched and surrounded the apartment, said the sheriff’s office. He was sent to Land O’ Lakes Jail. According to ABC a court date hadn’t been set by Jan. 16, and the suspect hadn’t yet entered a plea to the charges against him. Walker’s age is listed as 28 in the initial statement with the footage. However, the arrest document shows his age as 29.